Everyone will fall in love with this fabulous Bohm collection that features squirrels, acorns, flowers and leaves you might see on a stroll through an English woodland in Autumn time. 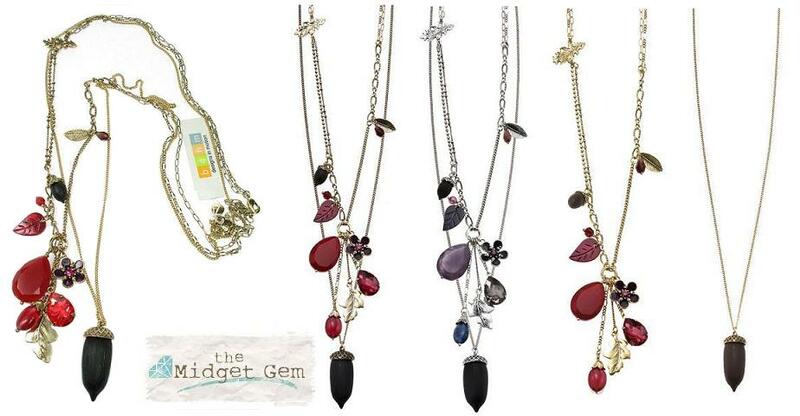 It is an oppulent design series with stunning quality Swarovski crystal elements, hand-cut crystal shapes, delicately applied enamels and detailed metal charms. The precious metal plates have a burnished patina finish. 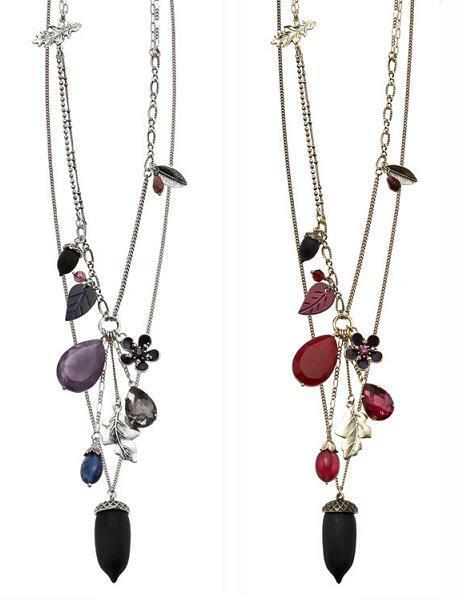 Available in silver/blues/purples or gold/crimson/purples. 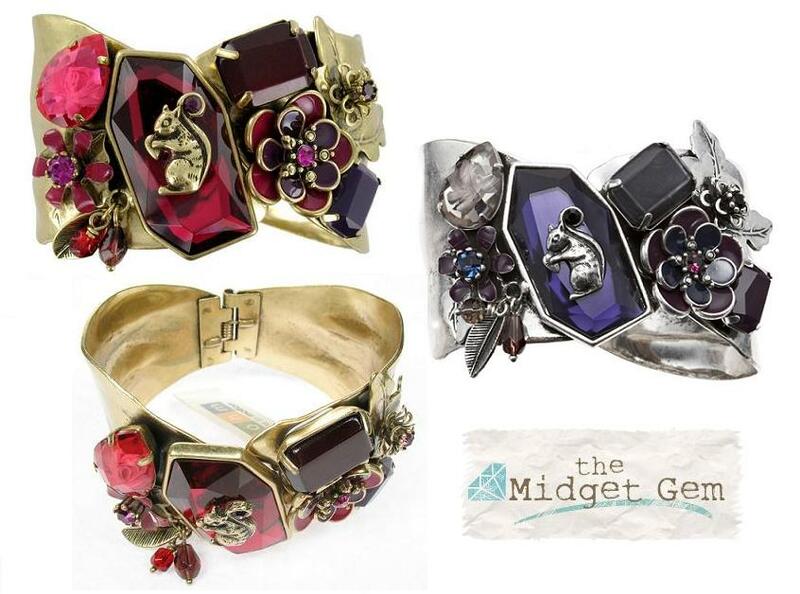 Hinged cuff bracelet. It measures 4.5cm/45mm wide. Diameter 6.5cm/65mm. Corsage brooch. It measures 10 cm/3.5 inches in length by 4cm/1.5 inches max. width. Traditional back pin with over-catch. Fabulous 3-D treated wood acorns nestle into precious metal plated caps. The acorns measure 1.8cm/18mm in length. French clip fastener for pierced ears. Total length 3.5cm/35mm. 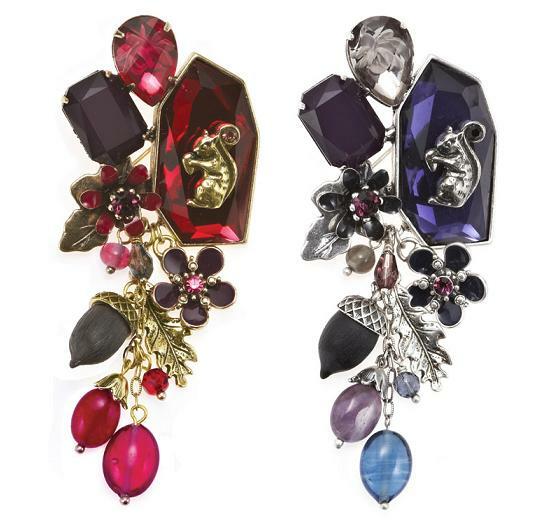 Squirrel earrings, really cute, finely detailed back and front, each one holding and nibbling a nut and clasping a Swarovski crystal in its tail. French clip fastener for pierced ears. Total earring length 3.5cm/35mm. 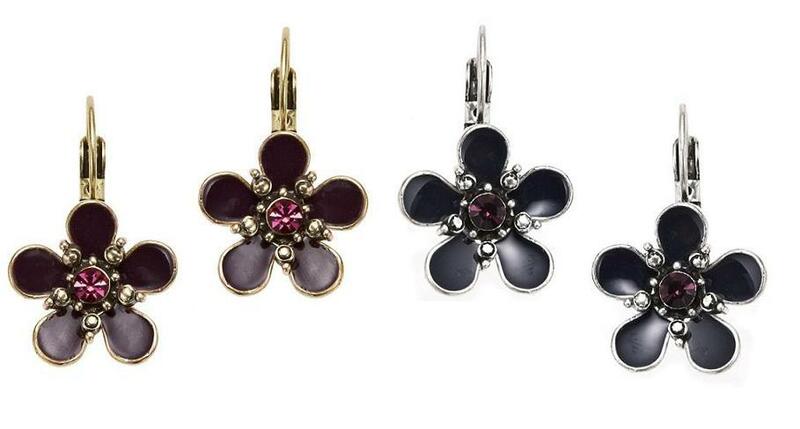 Pretty enamelled flower earrings with Swarovski crystal centres. Flowers measure 1.5cm/15mm. French clip fastener for pierced ears. Total earring length 3cm/30mm. 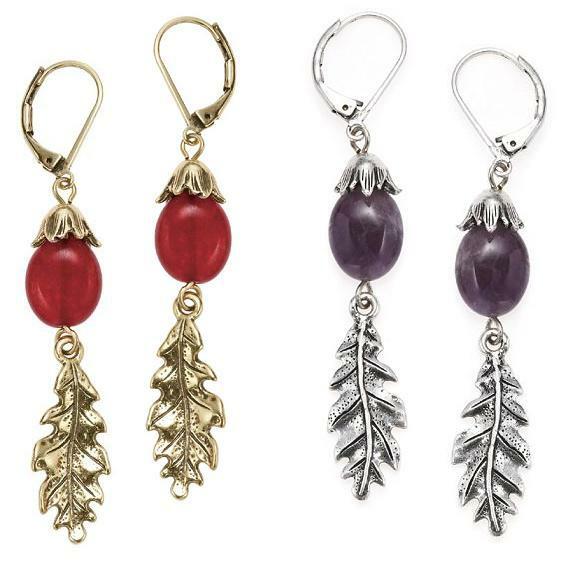 Oak leaf and quartz stone drop earrings. French clip fastener for pierced ears. Total earring length 3.5cm/35mm. Pretty enamelled flower measures 2.5cm/25mm in diameter, with Swarovski crystal centre. 5mm wide band. Adjustable ring size. Double chain necklace. Pendant features a realistic oak leaf (4cm/40mm) and 3-D acorn (wooden 1.8cm/18mm). Fine curb and ball linked chains. 16 inches/40.5cm to an adjustable 19 inches/48.5cm. Double chained necklace (fine curb and ball linked chains). Each chain can be worn separately. One chain features 3-D acorn (wooden 3.5cm/35mm) pendant, whilst the other has a pretty selection of charms (measuring 1.5cm/15mm up to 2.5cm/25mm). 28 inches/71cm to an adjustable 31 inches/79cm.